Your hair strands may be tough now, but a number of elements can make them vulnerable to damage. Be sure to shield your hair from excessive exposure to the sun, heat, pollution, dirt, etc. with the use of an umbrella, scarf, or hat regularly. This tiny effort will prevent your hair and scalp from getting dry and having dirt build up. Treat your wet hair carefully. As you may have suspected, wet hair can be quite fragile and prone to breakage. The explanation behind this is that both the shaft and the roots of your hair are more susceptible to damage when they are wet. So, what’s the solution? Use gentle motions when shampooing your hair as hair breakage tends to begin there. Also, keep in mind not to brush your locks immediately after showering in order to discourage hair fall. Not just when you remember to, but you have to do it regularly. 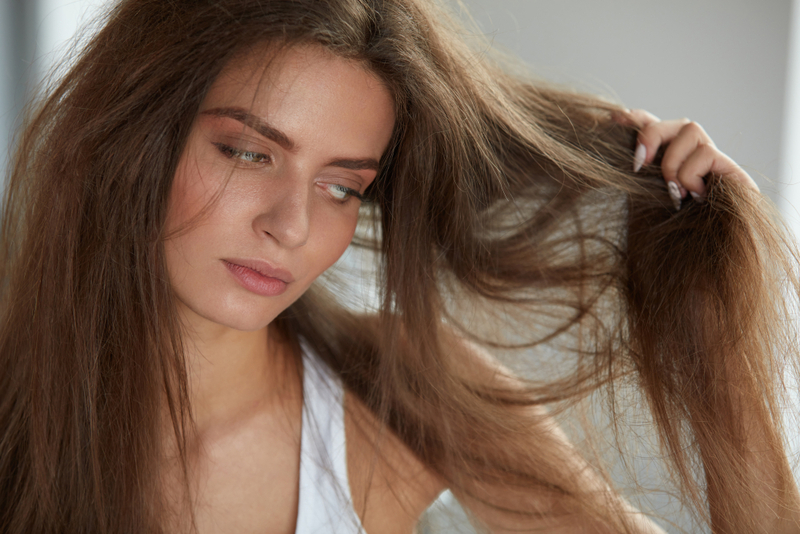 By using a moisturizing conditioner after each wash, you can save yourself the trouble of having to deal with frizzy hair for the rest of the day. Remember to apply the conditioner at least 2 inches from your scalp! If you choose to add the conditioner directly to the scalp, it will only make it oilier. And in case you’d like to seal in extra moisture, you can apply hair mask on your strands every once in a while to keep it smooth and silky. Prevent your hair from getting exposed to heat. Not just the heat from the sun, but from the heat of styling tools too. If you must make use of hair curlers and flat irons, spritz your hair with a bit of heat protectant beforehand. Also, try to keep the heat settings as low as possible to protect your strands from drying out (and possibly even burning off!). Free your hair from tight hair ties. Are you going to be running errands the whole day and need to keep your hair away from your face? Before you reach for that hair tie, think again. Putting it on too tightly can deal a lot of damage to your hair. You might have noticed the number of hair strands falling off when you undo your hair tie, right? Rather than that, use a hair scrunchie instead. Not only is it gentler to your hair, but it looks fashionable too and it doesn’t snap as easily! Wash your hair with products from the same line. Different hair products are made with particular goals in mind. When you choose a shampoo and conditioner from the same line, they will have a similar formula and therefore boost the intended effect on your hair. Shop for your hair care needs at Orlando Pharmacy! We are a Retail Pharmacy in Orlando Florida, that doesn’t just cater to Medical Supplies, but to health and beauty products too. This entry was posted in Health Tips and tagged Health and Beauty, Healthier Hair, Medical Supplies, Medical Treatment and Management, Medications, Pharmaceutical Services. Bookmark the permalink.